Apple is closing in on the monumental milestone of 50 billion app downloads through its celebrated iTunes App Store, and to mark the occasion, the Cupertino giant has compiled a list of the all time most-downloaded free apps, as well as the bestselling paid offerings. 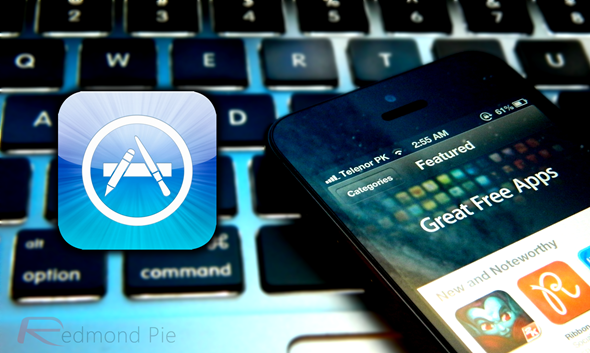 On top of that, the lucky downloader of the 50 billionth app will receive a whopping $10,000 in App Store credit, and even though most the guys here at Redmond Pie get through several app purchases on an almost daily basis, even we would struggle to use up all that glorious credit. As well as the bonanza for that one lucky individual, the subsequent 50 people downloading an app will each receive a $500 gift card, which in itself, certainly is not the kind of amount to be baulked at. The lists of the most downloaded apps throw up very few surprises, with most of the apps having naturally lurked in the charts since they were released by their respective vendors. Microsoft-owned Skype sees its app claim the prize as most-downloaded free app, while Apple’s very own Pages app, a port of the popular iWork word processing application, is the most downloaded paid app since the App Store began. In short, all of our favorite apps are holding the crown in the list. Considering the App Store has only been around since June 2008, which is just under five years as those of you good with timekeeping will have noticed, to have reached such a high number of downloads is quite phenomenal. While Google has brought very respectable competition with its similarly-intended Play Store, the iOS App Store is still considered the leading hub for digital downloads, and with over three quarters of a million apps in total, there’s certainly no shortage of content available. So, with an impressive sum total of $35,000 worth of prizes to be won in the countdown to the magical 50 billion mark, now would be very much a good time to get over to the App Store and download some new stuff for your iPhone, iPad or iPod touch. Now, you’re thinking, where should I start, it’s simple; simply head over to this link and read the complete set of rules so that you make sure that you qualify for the contest. It’s important to note that you should be 13 years or older in order to participate and your country’s App Store should be listed in the set of rules which Apple has laid down. Furthermore, there’s a limit of 25 app downloads per day, not more than that, and as soon as the App Store hits the 50,000,000,050th app mark, the contest is closed and the winners will be announced. Oh, and while we’re / you’re at it, be sure to check out our carefully curated iPhone Apps Gallery and iPad Apps Gallery for a few decent recommendations if you’re stuck for what to download.